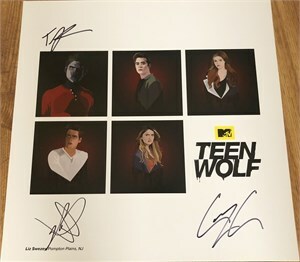 Beautiful 18 by 18 inch Teen Wolf fan artwork print, heavy paper lithograph or poster of the cast distributed exclusively in very limited quantities at 2015 San Diego Comic-Con autographed by stars Tyler Posey, Cody Christian and Dylan Sprayberry. 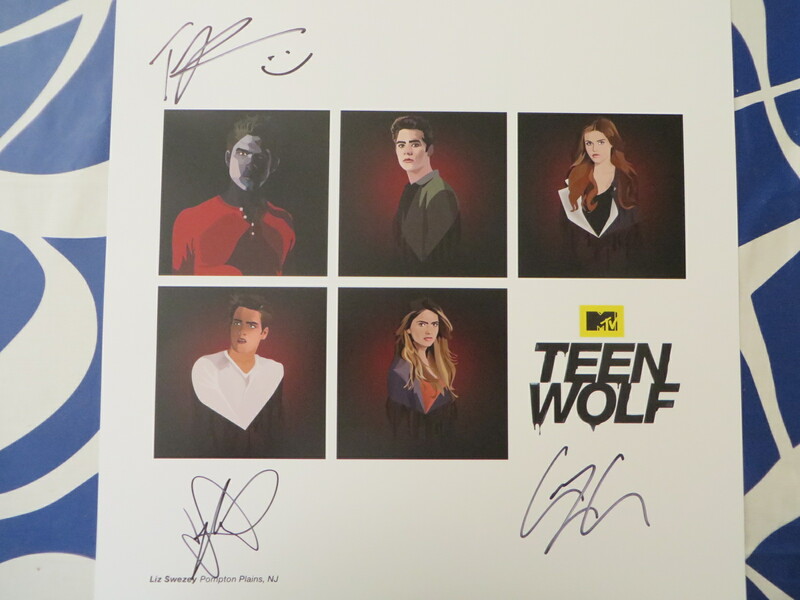 Obtained at very limited 2015 San Diego Comic-Con signing, with photo from the signing and certificate of authenticity from AutographsForSale.com. ONLY 2 LEFT.